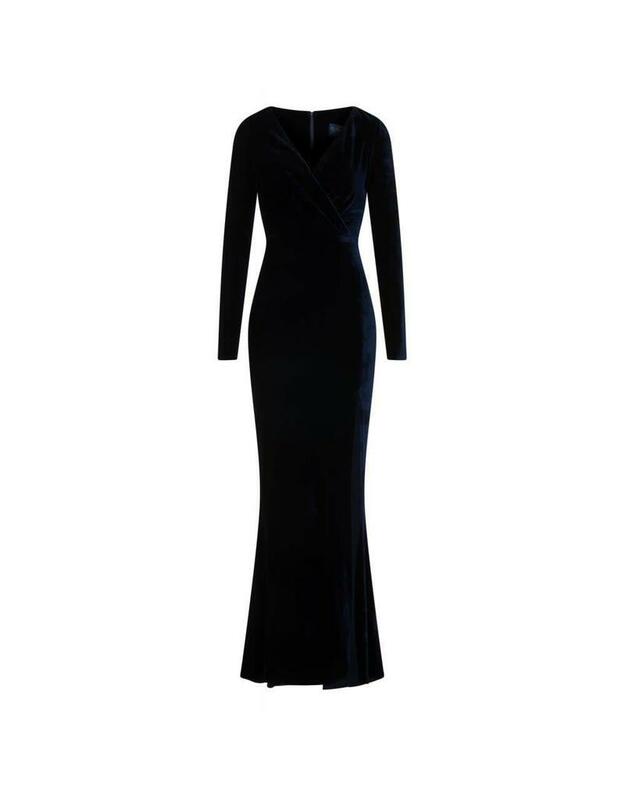 The Lexie Velvet Dress is a stunningly slinky dark blue number. She's a gorgeous maxi dress, with dramatic plunging V neckline and cross over detail at the bust. Her long sleeves will keep the chill off your winter skin, while the high slit of her skirt will evoke a Hollywood Glamour look. She fastens with a centre back zip. Lexie is made in luxuriously soft midnight blue stretch velvet, an incredible fabric that will ensure that you look like a movie star while feeling incredibly comfortable.